If you had known Jesus' address in Nazareth along about A.D. 20, you could have gone to that house and said, "God lives here!" While the doctrine of Jesus being fully God and fully man — fully God yet having emptied himself of all of his divine privilege (Phil. 2:5-7) — is nearly impossible to fully understand, it is the awesome reality of grace. God chose to be like us because we could not be like him. God came down to us because we could not ascend to him. 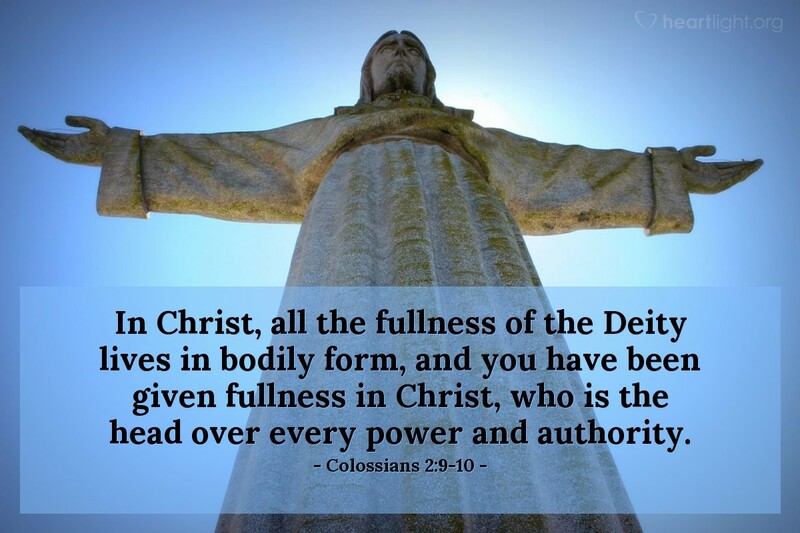 In Jesus, God came to us in fullness so we could be full in him. Almighty God, I acknowledge that you are too great for me to comprehend. Yet as marvelous and mighty and majestic as you are, your greater than my mind can grasp. And your grace, O God, amazes me. Thank you for sending Jesus so I can know you. Thank you for sending Jesus so I could be forgiven. Thank you for sending Jesus so I can go home to you and live forever. Thank you, Jesus, for coming to redeem me and then returning back to the Father so I can speak to him through you. In your name Jesus, and because of your grace, I pray with boldness before our Father. Amen.